Are there any filters for retrieving data related to invoices issued in a specific month? 1) Go to Invoices from the client page (for a specific client) or to the general Invoice list. 2) Click the Edit button in the Global Date Filter box (located in the top-right corner of the screen). 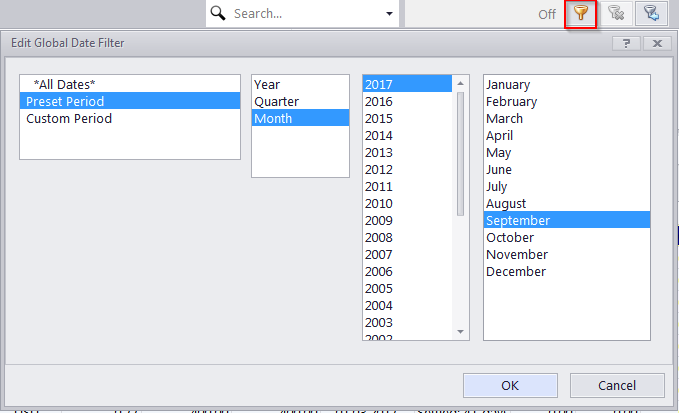 3) Choose Preset period > Month > Year number > Month name. Click OK.